Jigsaw Sudoku are a fun and popular variant of the standard sudoku puzzle. Whilst in normal sudoku the puzzle has regular shaped box regions of dimensions 3x3, in jigsaw sudoku these nine regions can take all sorts of interesting shapes. There are three issues of this magazine available to purchase. 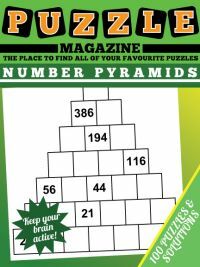 The result is a striking looking puzzle with interesting snaking regions that fit together like the pieces of a jigsaw, and hence the name of the puzzle as jigsaw sudoku. It is also sometimes referred to as jigdoku and in some other places as irregular sudoku because these nine regions are not of regular 3x3 dimensions. One of the most pleasing elements of jigsaw sudoku is that there are a large number of possible grid patterns, and each pattern has its own subtleties and nuances. 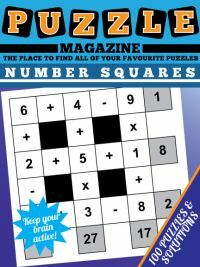 Unlike playing a sudoku on the same grid everytime, there are a large number of different grid patterns in the jigsaw sudoku magazine. The key to being able to solve jigsaw sudoku successfully is to remember to use the shapes of each region to make as many deductions as you can. 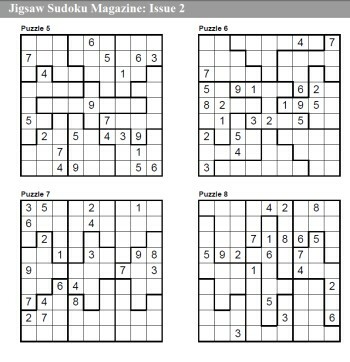 Because of the interesting shapes of jigsaw sudoku, it is possible to create puzzles with far fewer givens than an ordinary sudoku puzzle. This is because the shapes of the regions can interplay to give you more information (and therefore restrict the value of more cells) than is possible with regular sudoku. 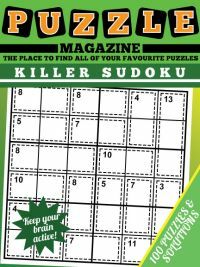 In terms of difficulty, many people find jigsaw sudoku harder than orthodox sudoku, although you can use all the standard and familiar solving rules to help you solve the puzzles. 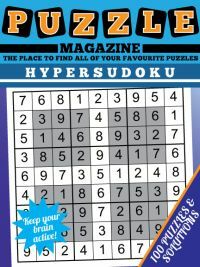 This collection contains 100 all new jigsaw sudoku puzzles with a range of different grid patterns on A4 paper ready for you to download and print off in PDF format. 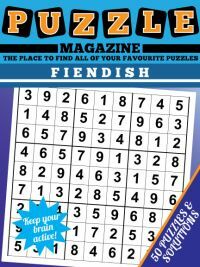 The magazine has 50 pages, the first 25 containing 4 puzzles per page and the remaining pages containing the solutions. 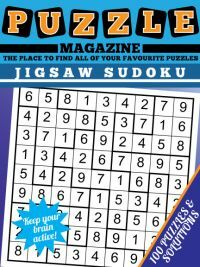 You can download page 1 of Jigsaw Sudoku Magazine here.